It's now 2009....................do you know where your great - great-grandparents are? Regional Resources for Buffalo, Erie County, and Western New York. Cynthia Van Ness has made this a four - star site! Town of Alden Cemeteries including Village of Alden and Alden Center, Crittenden, Mill Grove, Townline, Wende & West Alden. Town of Brant Cemeteries including the Village of Farnham and Brant Center. List of Street Changes in the City of Buffalo - Last changes made in 1941. Town of Collins Cemeteries including the Village of Gowanda and area of Collins Center. Town of Concord Cemeteries including the Village of Springville and area of East Concord. Town of Elma Deaths - Four hundred residents, with age and date of death. Town of Evans Cemeteries including the Village of Angola and East Evans, North Evans and Evans Center. Town of Lancaster Cemeteries including Village of Lancaster and area of Bowmansville. All the information available to me is available thru the above service. Because of time, I'm unable to reply to queries. This search will only search my web site........................ not sites linked to my site. Where is Pluto Bader ? National Cemetery System Dept. of Vet. Affairs. 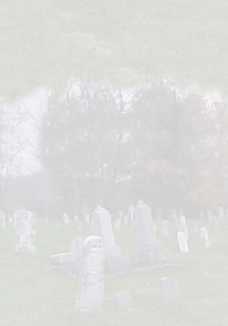 Below are links to help you locate a cemetery. Wally MacDowell's Web Site, Wally's site is off line for now. This information may not be used for profit or reprinted and published with out permission from the authors. Copyright ©1997 - 2009 KMK, All rights reserved.